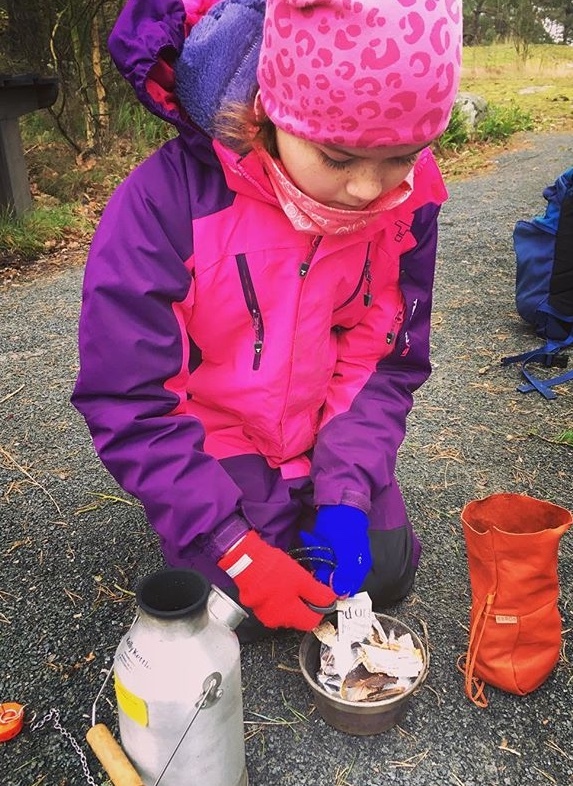 Outdoor play for children is so important for all ages (read here to find out why), and in this mini series of posts I will run through some varying outdoor play ideas for different age groups of children. 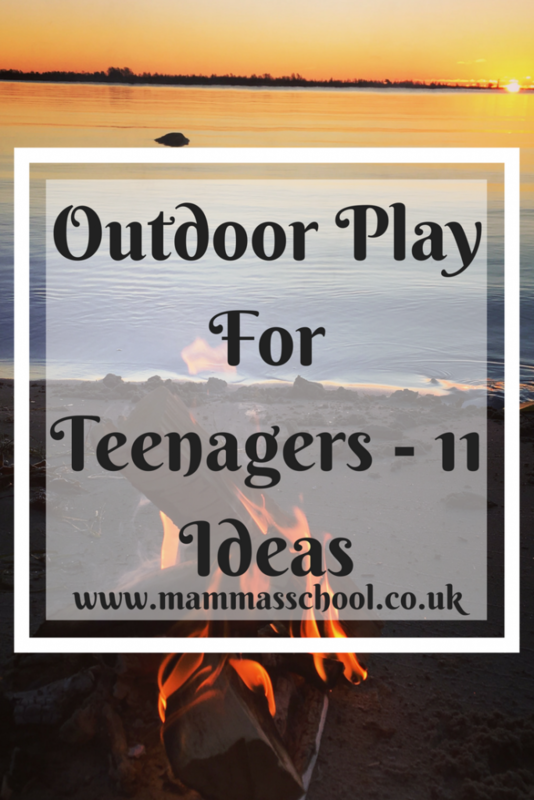 This post is all about outdoor play for teenagers. 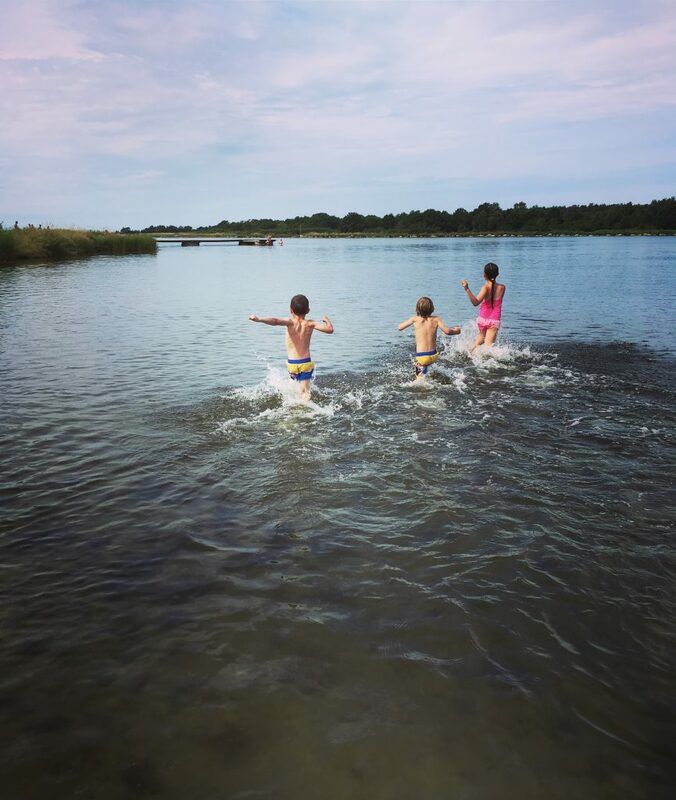 This age group is such fun as you extend their boundaries, give them more independence, and more challenges. 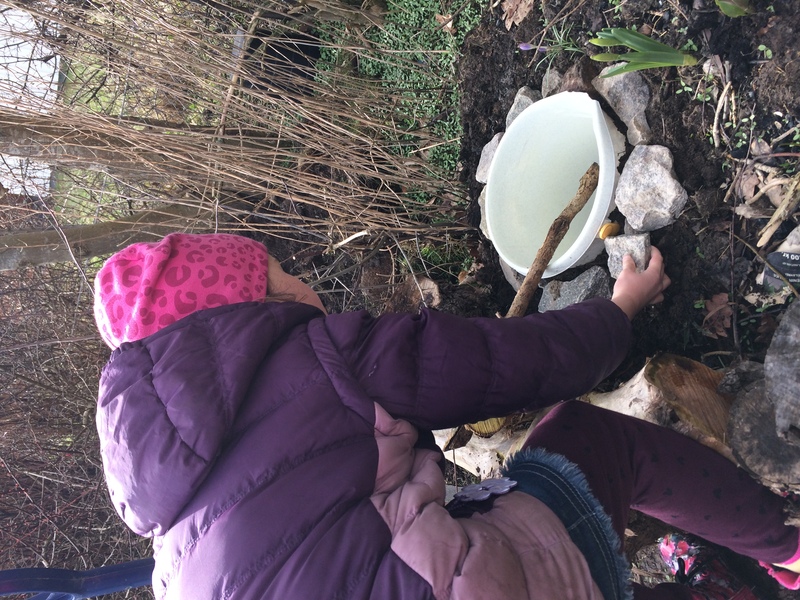 Outdoor play for teenagers is still very important, and also in continuing to foster their love of nature and the outdoors, so when they are ready (very soon) they will want to continue out of their own initiative. These outdoor play ideas for teenagers are supposed to do all of that…be fun, challenging, and help connect them to nature. I hope your teenagers enjoy trying them. Climb a mountain, large peak, or hill together: This will allow them to take a little responsibility for packing, looking after themselves, and some basic map reading but on a grander scale. The time together will allow for some lovely bonding time as well. They will like the sense of adventure too. 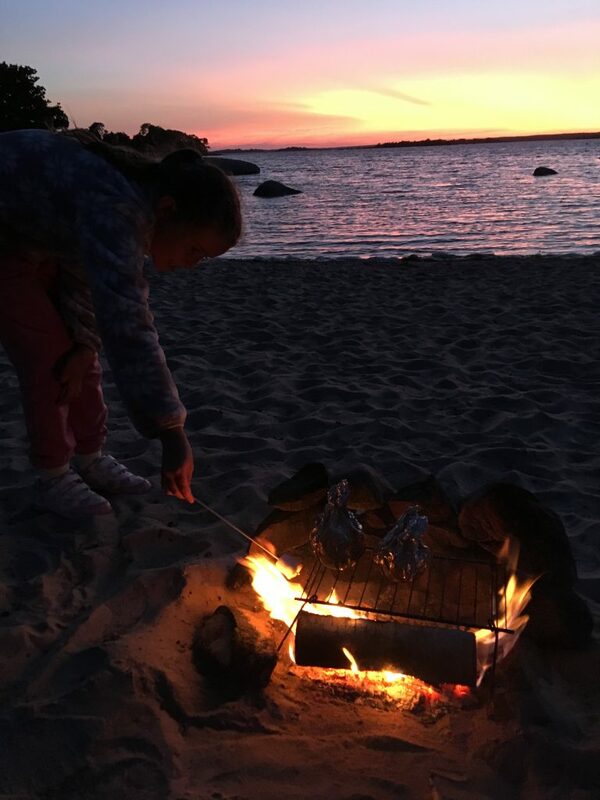 Cook on a campfire: We cook on a campfire regularly and my three smaller children are up to speed on fire safety, and hopefully are learning skills they can then use in the future. 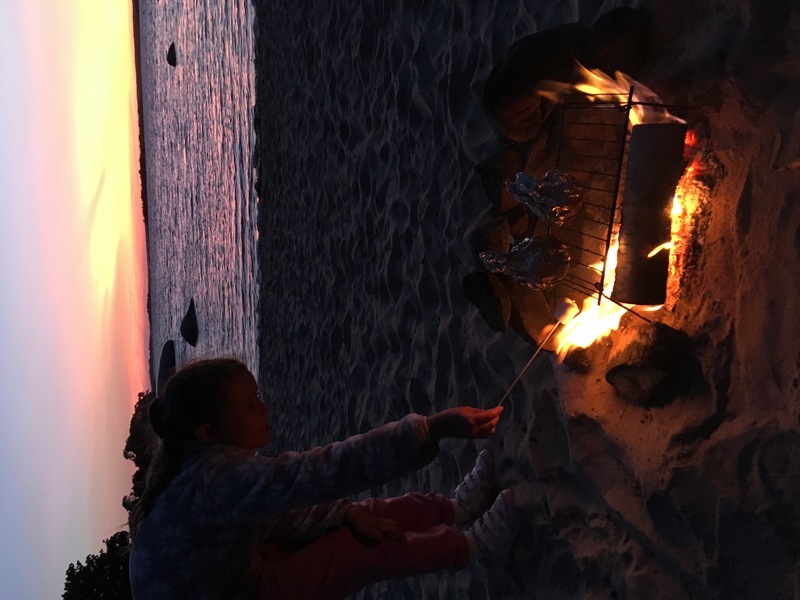 With a teenager, take it that step further, and allow them (supervised) to cook the meal on the campfire. 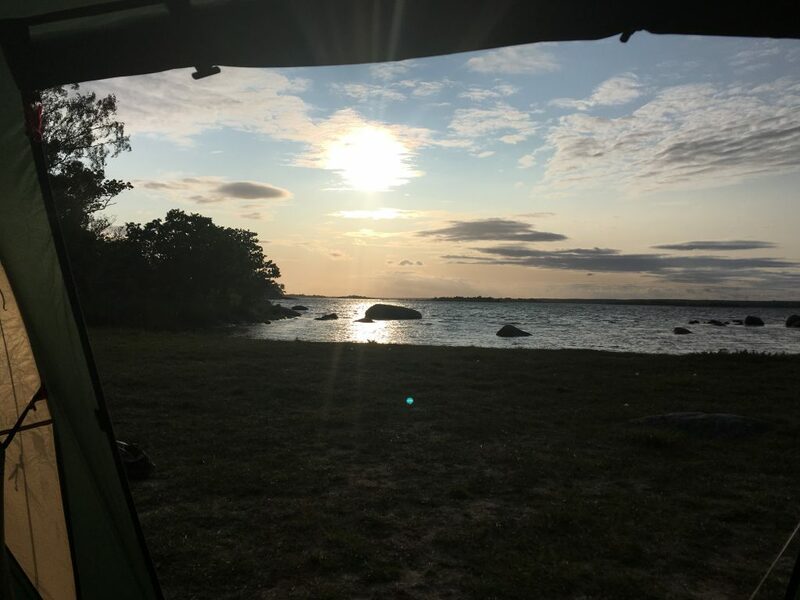 Let your teenager lead you for a wild camp. Let them plan with you where to go, lead in the pitching, and any activities/organisation while you are there. 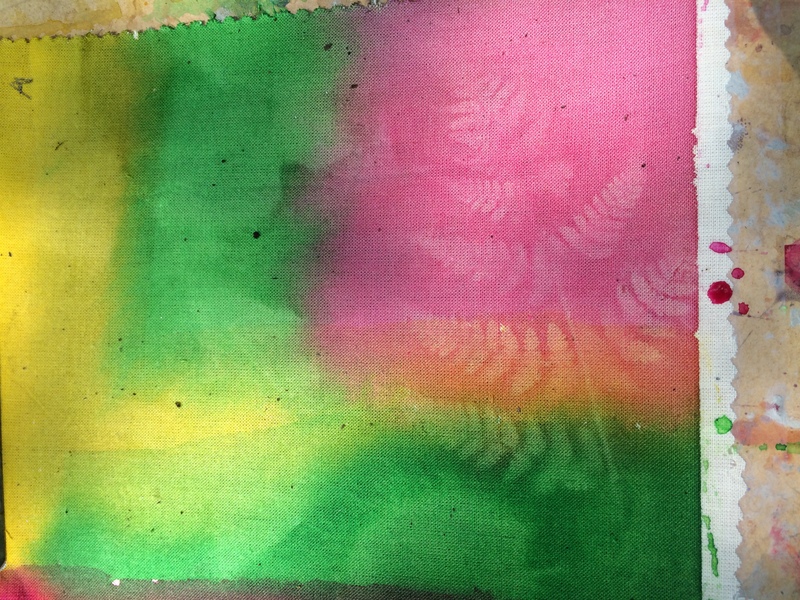 Learn to surf….you might find this another fun one to do with them for something new to try! 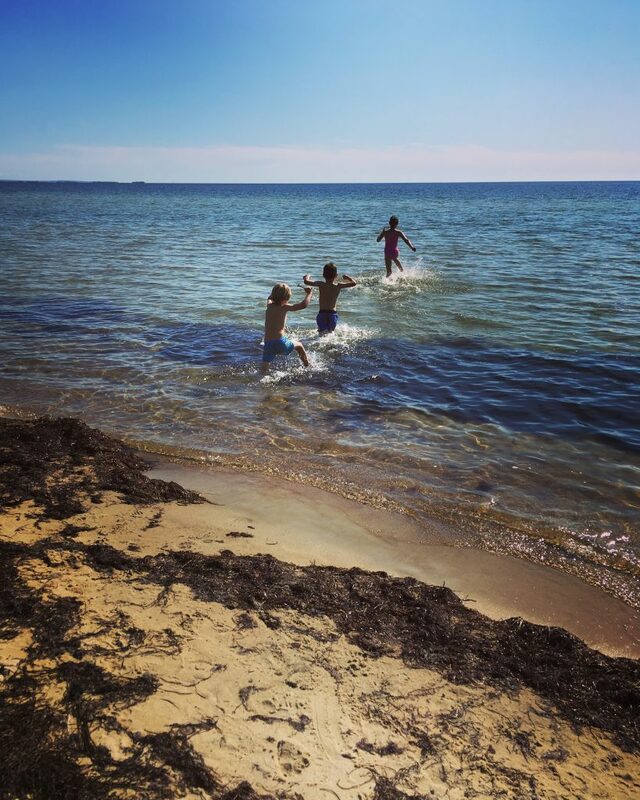 Swim in the sea (make sure they are safe and supervised!!). Go on an off road cycling adventure. 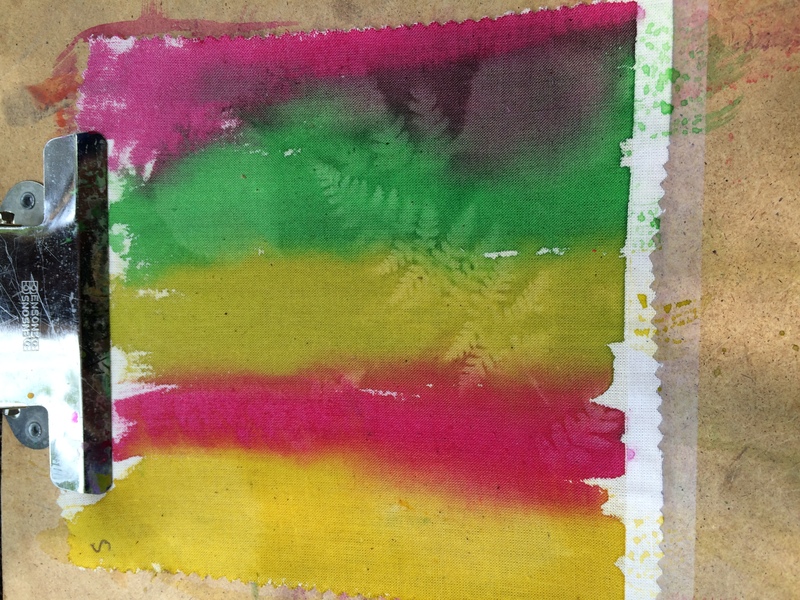 Make colourful nature textiles using sun dye paints. Mine have just done simple fabrics, but you can make cushion covers, t-shirts, the list is endless. The effect is beautiful. Build a raft and try to sail it (again make sure any activity around water is safe and supervised). 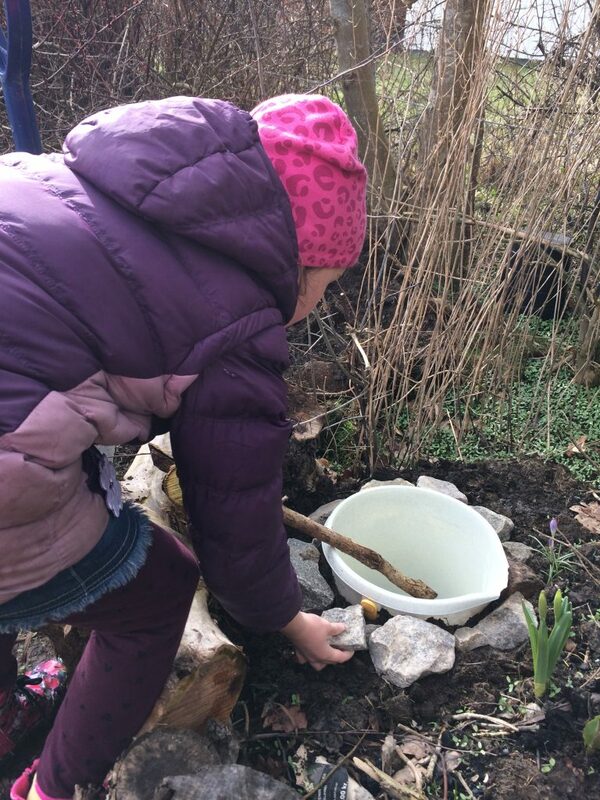 Build a mini pond. This is a great activity for them to add a feature to your own outdoor space, however small. Learn to use (supervised) some other bush craft equipment. My three love the Kelly Kettle. It is fun and easy, and gives them a good start to fire making skills on a smaller scale. I hope you have enjoyed these ideas for outdoor play for teenagers, and let me know how you get on!! Great ideas it can be hard to find fun things for teenagers to get up to. I’m sure those with teens will find this post handy. 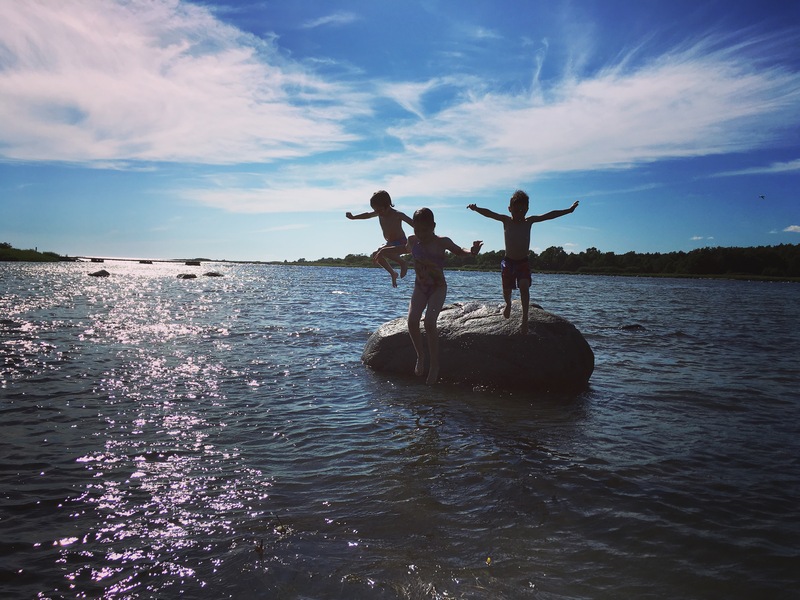 I love this – I think there are a lot of posts out there for outdoor play ideas for younger children but teens are often forgotten assuming they would just prefer to be plugged in somewhere. Some great ideas here! Great post this with lots of ideas. Families don’t have enough camp fires imo! We are addicted to camp fires! Great ideas! My eldest is 14 and is never in! He;’s either out on his scooter or out playing football! These are great ideas for older children. I do worry about activities to do with my son when he’s older but this list has some fab ideas we can enjoy together. Love that you managed to avoid the dishes! This is great and lovely to get the teenagers gain independence. I should have got Tyler lighting the firepit when we visited you!